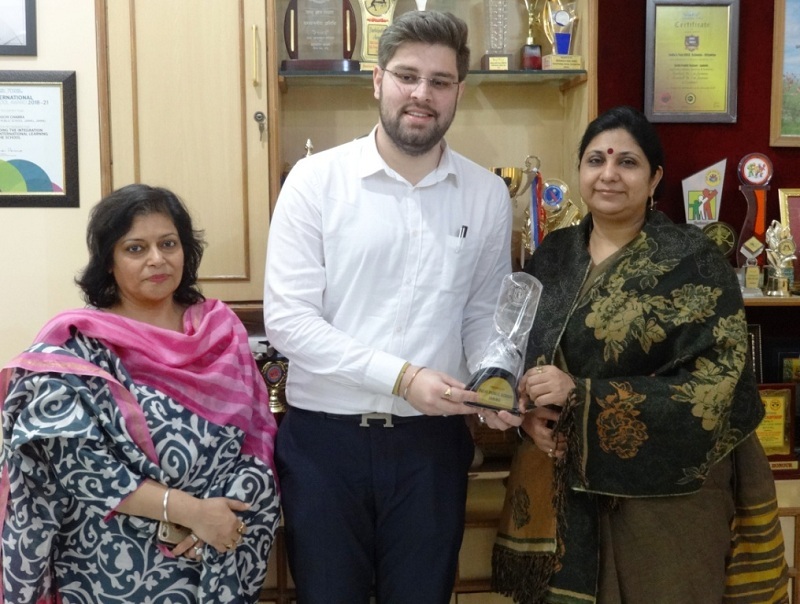 Ayush Mahajan, Alumni of Delhi Public School, Jammu, batch 2013-14, brought laurels to the school and his parents by cracking Chartered Accountancy Exam held in November, 2018 with score 450/800 by appearing in both groups. In the felicitation ceremony held today, the Principal-DPS Jammu, Ms. Ruchi Chabra presented Ayush with a memento of appreciation for his big achievement while the School Management, Sh. M.K Ajatshatru Singh Ji, Hon’ble President-RCT, Kunwrani Ritu Singh Ji, Hon’ble PVC, Sh. S.S Sodhi Ji, Hon’ble Director and staff members congratulated Ayush and his parents for the glorious achievement. They also assured him for all necessary support for his future endeavours. Ayush has been a brilliant student excelling in both academics and sports activities during his school years and had scored 95.2% in class XII and stood 2nd amongst first four toppers of his batch. Ayush will be joining the ICICI Bank in New Delhi as Deputy Manager. Ayush gives the credit of his success to his parents and all teachers of his school. He expressed his gratitude for the support extended to him by the DPS family throughout his days at DPS Jammu while his proud parents Mrs. Kavita Kumari and Mr. Rakesh Mahajan also thanked the school Management, Principal and staff for providing knowledge base to their ward, helping him achieve glorious success in C.A exam.